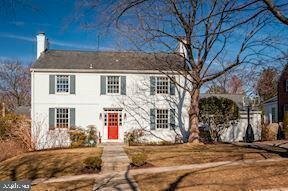 Very special Chevy Chase colonial, 2 story addition and completely renovated, sunny bright living rm, dining rm. den and great room on first level. Luxurious master with separate shower and bath and laundry on bedroom level. Finished walkout bsm with bedroom and full bath and plenty of storage space. 2 car attached garage.